Having seen an advance screening of first-time director Ryan Coogler’s Fruitvale Station (it hasn’t opened here in Boston yet), a movie about a real incident involving the death of a young black man, that was already worthy of inclusion in a national conversation about the state of race relations in the United States, but is now even more sadly relevant given recent events, I can say that at this (extremely) early stage in the race, it is my prediction (and I am far from alone here) that Michael B. Jordan (Chronicle) will be recognized with an Oscar nomination for Best Actor. 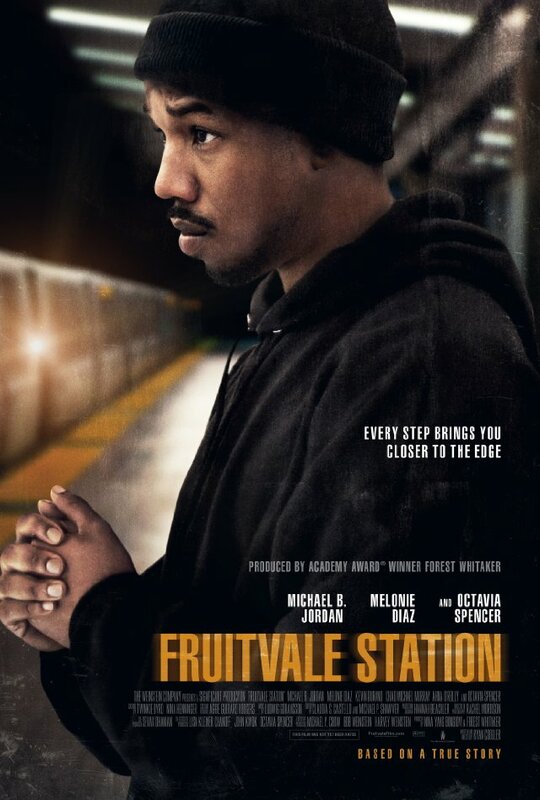 My pal Harvey and The Weinstein Company are still rolling Fruitvale Station out across the country. If the film, which won both the Audience Award and the Grand Jury Prize at this year’s Sundance Film Festival before bowing at Cannes, is not coming to a theater near you, try to catch it on VOD. You will be hearing a lot more about it. If you’re as addicted to film as I am, you’ve probably already heard a lot about Steve McQueen’s 12 Years a Slave. I’ve been following the film’s progress since it was announced back in August 2011 that it would be the director’s next project, following up Shame which hadn’t even been released at that point. One might say, judging from that trailer above alone, that Chiwetel Ejiofor, would also be a lock for an Oscar nomination. Fox Searchlight, despite the fact that 12 Years a Slave missed Cannes, (but will probably debut in Venice and/or Toronto) has moved UP the release date from December 27 to October 18 on the basis of what Deadline called “exuberant test screenings”. 12 Years a Slave has, let’s be honest, the aroma of “Oscar bait” all over it. Based on the memoir of Solomon Northup, a free-born African American, kidnapped and sold into slavery, the cast includes Benedict Cumberbatch, Paul Giamatti, Alfre Woodard, Quvenzhane Wallis and Brad Pitt (who also produced), among many others. All it takes is two and a half minutes to recognize the power of the piece. So, one might call Ejiofor a lock. I wish I could. He’s an actor I’ve long admired and I’m thrilled that he’s got a role that, again, based solely on those two and a half minutes, is a showcase for his talents. However, in the not so distant past, I had that same thought about the star of that other Steve McQueen directed film, the one I mentioned earlier – a little piece of celluloid called Shame. Its star, Michael Fassbender, gave what was, by nearly all accounts, one of the best performances of 2011. He ran away with accolades and acting prizes from Venice to LA. He was nominated for Golden Globes, BAFTAs and SAGs. Of course, we now know, the illustrious Academy of Motion Picture Arts & Sciences didn’t care a fig for all of that and failed to nominate him for an Oscar. So I won’t call Ejiofor a lock, but his post is about something else anyway. This post is about the distinct possibility that some REAL history might be made this year. I realize it’s only July, but I’m calling it right now. It is my hope that come January 16, 2014, that the names of not just one, but two black leading men will be read in the category of Best Actor in a Leading Role: the British actor Chiwetel Ejiofor for 12 Years a Slave and the American actor, Michael B. Jordan for Fruitvale Station. Even better, if the names of their directors, Steve McQueen and Ryan Coogler, were read out as well. No offense Denzel or Forest, but that would be real progress. 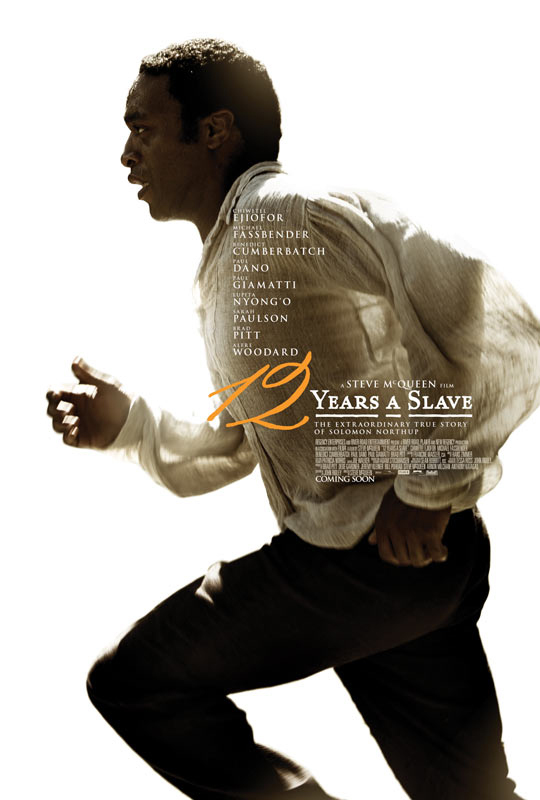 This entry was posted in 2014 Academy Awards, Awards Shows, movie posters, movie trailers, movies, Musings, novels to film, Oscar Predictions, Oscars, stills and tagged 12 Years a Slave, Cannes Film Festival, Chiwetel Ejiofor, Fruitvale Station, Michael B. Jordan, michael fassbender, oscars, Ryan Coogler, Steve McQueen, toronto international film festival, venice film festival. Bookmark the permalink.